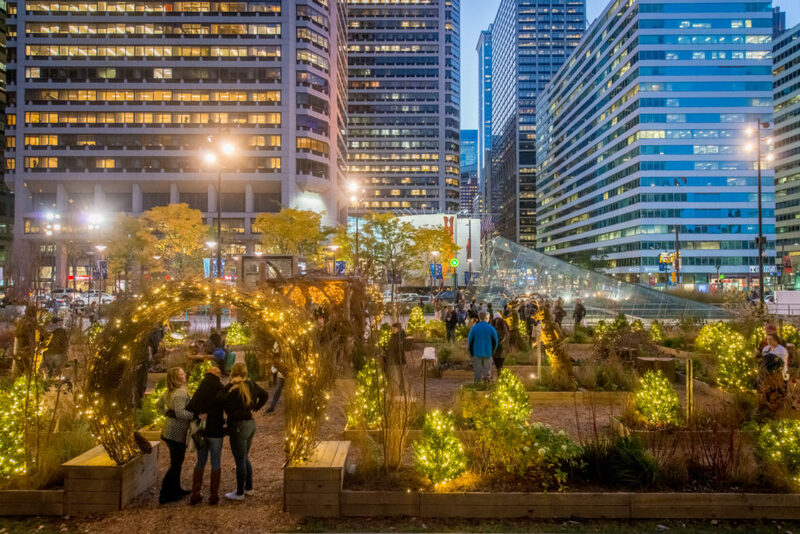 The America’s Garden Capital Maze returns to Dilworth Park’s Wintergarden for a second season at City Hall in Center City, Philadelphia. Wintergarden features horticulture displays, ice skating, fire pits, and more. One of Wintergarden’s must-visit spots is the America’s Garden Capital Maze–a holiday-inspired garden that recognizes the more than 30 public gardens in our region—including Winterthur! Enjoy picture-perfect moments with friends and family amid the vibrant plantings, topiaries, twinkling lights, and festive décor. Tune into your creative side, and take advantage of 10 weeks of free Garden Workshops, provided by the Pennsylvania Horticultural Society hosted on-site at the Rothman Cabin. Advance registration is required for Garden Workshops. The America’s Garden Capital Maze was created in partnership with Greater Philadelphia Gardens. Learn more at americasgardencapital.org/wintergarden.